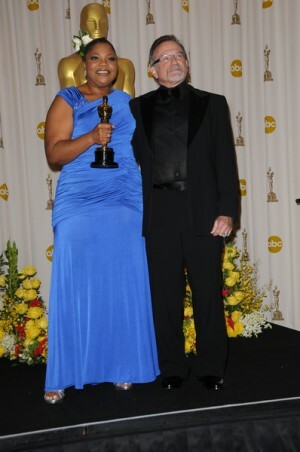 Robin Williams helped Mo’Nique carry her Oscar trophy. Mo’Nique won best supporting actress for her role in “Precious.” This is Mo’Nique’s first Academy Award. Mo’Nique payed tribute to Hattie McDaniel with her blue dress. Hattie was the first black actress to win in 1939 for her performance in Gone with the Wind.